In 1894, Herbert Gladstone M.P., son of the long-serving Prim Minister William Gladstone, was appointed to chair a Departmental Committee on Prisons. One of the Committee's concerns was to keep young offenders out of prison or, failing that, to keep them apart from adult offenders. The Committee also recommended the establishment of a state penal reformatory — something between a Reformatory School and a prison — for those aged from 16 to 21. In 1899, an experimental scheme began at Bedford Prison to provided an alternative style of detention for such offenders. Its initial inmates were from London prisons and who were serving sentences of between one month and two years. The young inmates were separated from adult prisoners and given a routine which included physical exercise, school lessons, work training, strict discipline and follow-up supervision after their discharge. In 1901, the scheme was extended to part of the convict prison at Borstal, near Rochester, Kent, whose name came to be adopted for establishments operating the new-style regime. Initially, 100 young offenders were moved to Borstal, with cells created for them by converting pairs of convicts' sleeping berths into nine-foot-square rooms. After Borstal ceased housing adult convicts in 1905, more cells were created taking the total accommodation to 256 places. the facilities also included a school-room, workshops and farm. 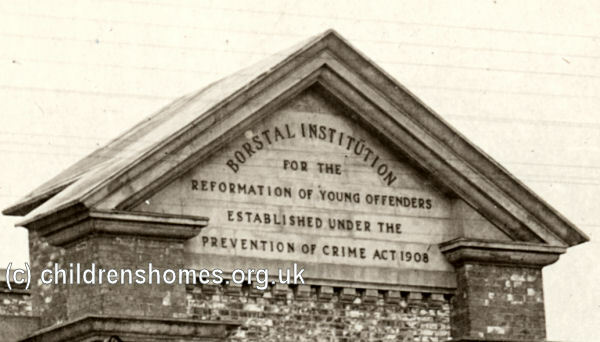 These experimental schemes at Bedford, Borstal and other establishments led to the creation of a permanent system of Borstal Institutions under the 1908 Prevention of Crime Act. 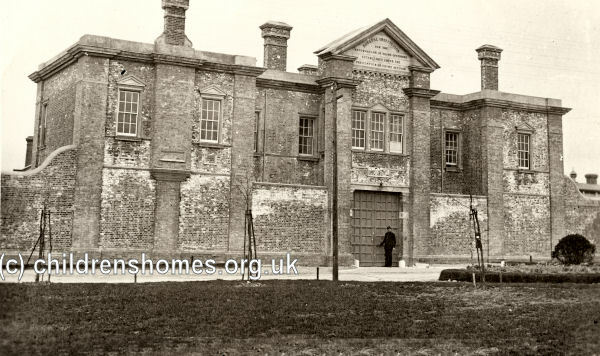 A major building programme at Borstal included four new two-storey blocks placed in parallel pairs either side of the former convicts' chapel. Other new facilities included a gatehouse, gymnasium and bath-house. Inmates at Borstal progressed through four stages — ordinary, intermediate, probationary and special. During the day they were occupied in in physical exercise, work, industrial and agricultural training. In the evening, they attending school lessons. In 1983, the establishment was converted to a Youth Custody Centre. In 1988, it became a Remand Centre then had a mixed role, also acting as a holding centre for immigration detainees, a resettlement unit for adult male prisoners at the end of their sentences, and a remand and allocation centre for under 21 year old males. In 2011, the site know known as Rochester Prison, became a dual-purpose site catering for Young Offenders and adult 'Category C' offenders.